Writer in Amsterdam during the first half of the eighteenth century. 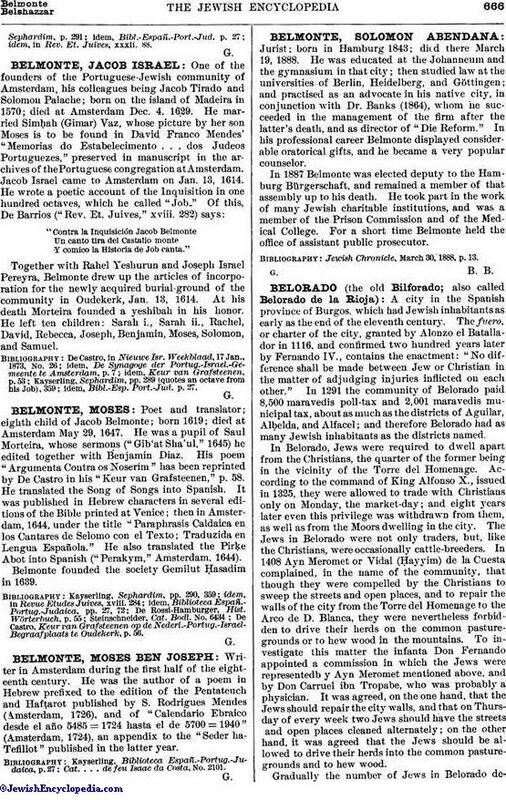 He was the author of a poem in Hebrew prefixed to the edition of the Pentateuch and Hafṭarot published by S. Rodrigues Mendes (Amsterdam, 1726), and of "Calendario Ebraico desde el año 5485 = 1724 hasta el de 5700 = 1940" (Amsterdam, 1724), an appendix to the "Seder ha-Tefillot" published in the latter year. Cat. . . . de feu Isaac da Costa, No. 2101.